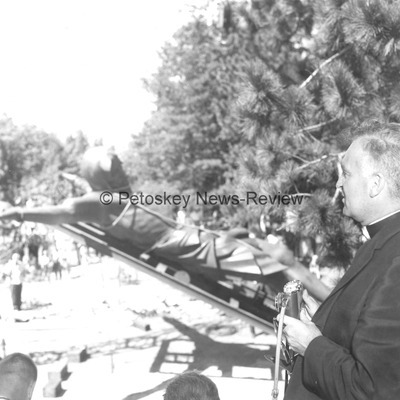 A member of the clergy speaks during the dedication of "Christ on the Cross"
Dedication of "Christ on the Cross"
The bronze corpus for "Christ on the Cross" is raised in the air while placed on the fifty-five foot high redwood cross at Indian River Catholic Shrine. 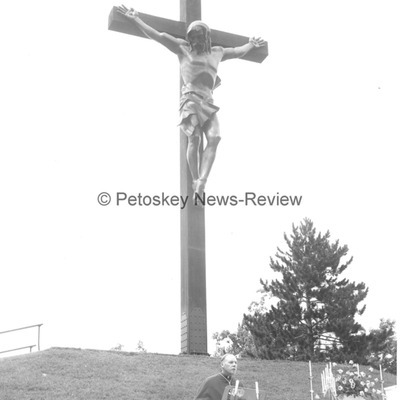 A priest watches over the erection of the corpus for "Christ on the Cross"
A priest at Indian River Catholic Shrine watches over the erection of the bronze corpus. 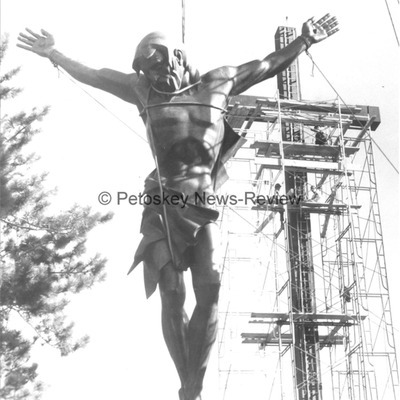 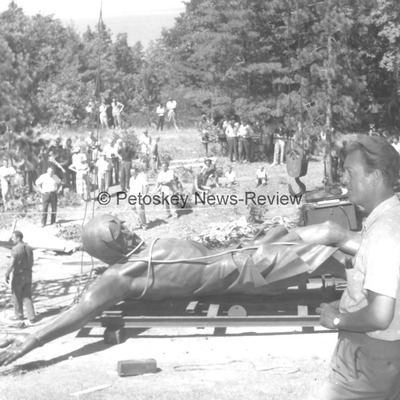 Marshall Fredericks oversees the erection of "Christ on the Cross"
Erection of corpus for "Christ on the Cross" at Indian River Catholic Shrine.